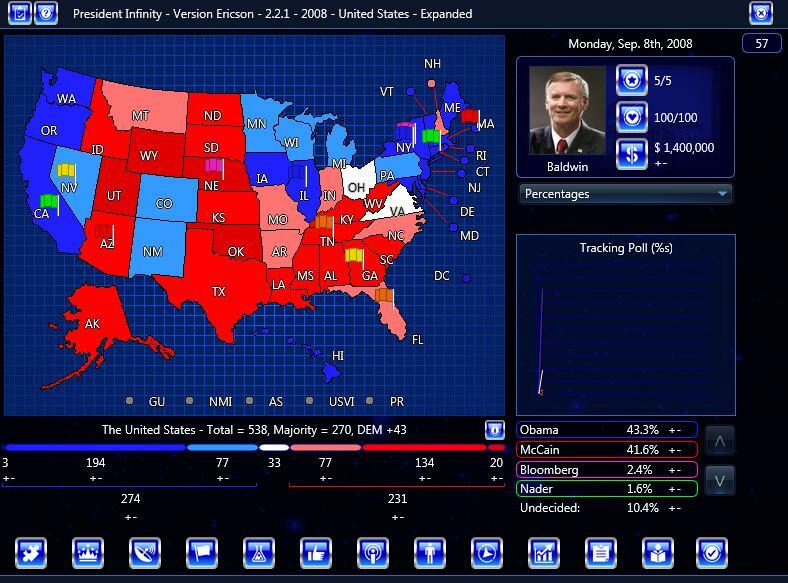 A minor mod of EdgarAllenYOLO s excellent expanded USA 2008 scenario with an new October 2007 start date and adding all party candidates as endorsers who now become available following their withdrawal in the primaries and are free to endorse the remaining candidates. 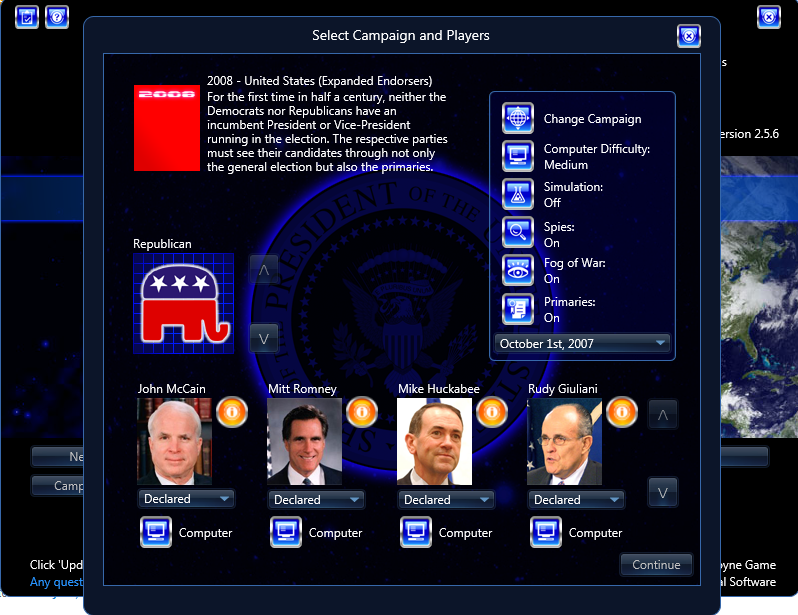 I’m working on an alternate historical scenario where John Kerry was narrowly elected president in 2004, and is running for re-election amidst an economic crisis. 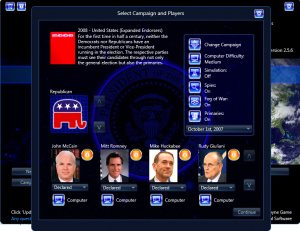 This is still in beta mode, so there are still things that I need to polish up, but I got the main stuff completed, and thus I wanted to upload the first version of my President Kerry 2008 scenario. Here is what I have added so far. Democratic side has only President Kerry and Representative Dennis Kucinich of Ohio as an optional primary challenger. Changed some endorsers assuming that the GOP did far better in the 2006 midterms than in reality with a democrat as the incumbent president. Added George Allen for the Republicans, and added Donald Trump as an optional third party. I may add some alternate third parties and some candidates in the future. Anyways, hope you all enjoy, and please leave any comments or suggestions on what I should add. Constitution Party as a third party. I have also added Michael Bloomberg as an endorser.